This program is designed for students who are already proficient in the skills taught in Levels 1-5 and who want to increase their conversational abilities. Conducted entirely in French, this course provides an opportunity for students to markedly improve their speaking and listening skills. Magazines, video and audio tapes, and other resources designed to provide practical opportunities for vocabulary development are selected to match student interests. Grammatical lessons are integrated in response to student needs and objectives. 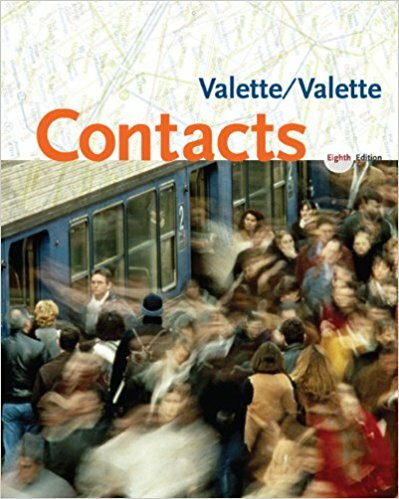 Over the past thirty years, we have reviewed many university-level French textbooks and have selected Contacts, eighth edition (Houghton-Mifflin) as the one that best fulfill the objectives of our students in beginning and intermediate levels. Teachers provide suggestions for texts and supplementary materials at the higher levels. Books may be purchased at the Barnes and Noble Boston University Bookstore, 660 Beacon Street, Boston or online on Amazon.com. Tuition for the French program at all levels is $349. There is a non-refundable $35 registration fee for first-time students only. In addition to our core program, we offer immersion programs which cover levels 1 to 5 of our core program in 6 weeks (4 weeks in summer). Tuition for the immersion program is $1,745. * Please call to register for the Summer French Immersion Evening course at 857-271-1044.